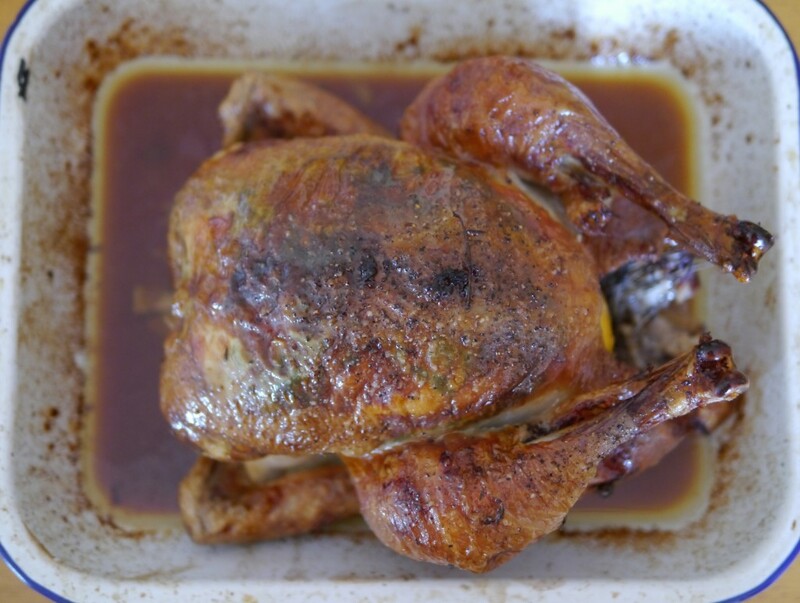 Here’s a lovely summer recipe for your free range chicken. The chicken comes from Castlemead Farm, where our friend Stuart Perkins farms Cotswold White free range chickens. He raises his chickens in extensive free range conditions where the birds can thrive in a natural environment, feeding on home grown cereals and grubs in grassy meadows. Remove the chicken from the fridge about 30 minutes before you plan on cooking it, to allow it to reach room temperature. Remove the giblet bag from inside the chicken. 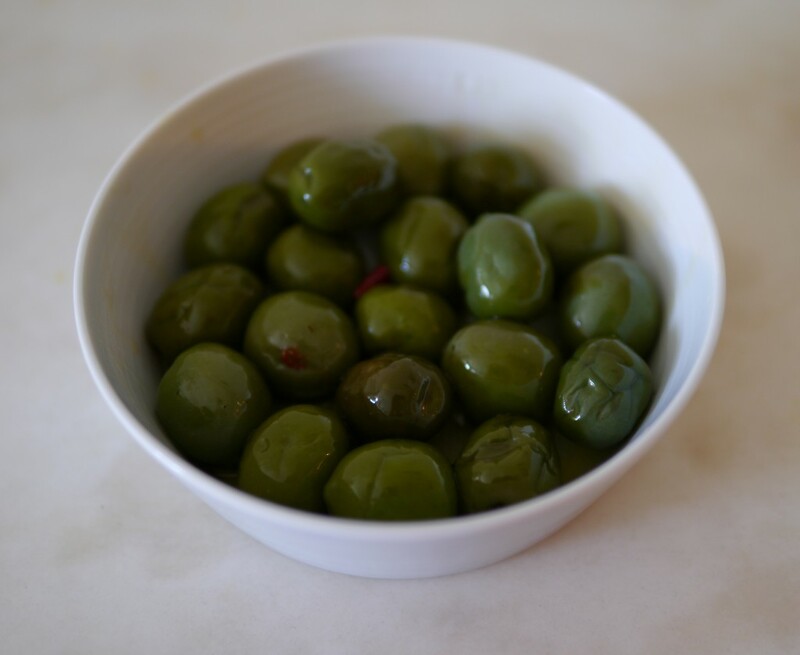 Pit (if not done already) and chop the olives, and remove the thyme leaves from the stalks. Place into a bowl and mix well with the butter. Place the chicken on a chopping board and gently separate the skin from the breast using your fingers. Fill the space between the breast and skin with the olive and thyme butter, using a spoon or your hands, whichever you find easiest. Ensure the breast area is evenly covered by pushing the butter around under the skin. 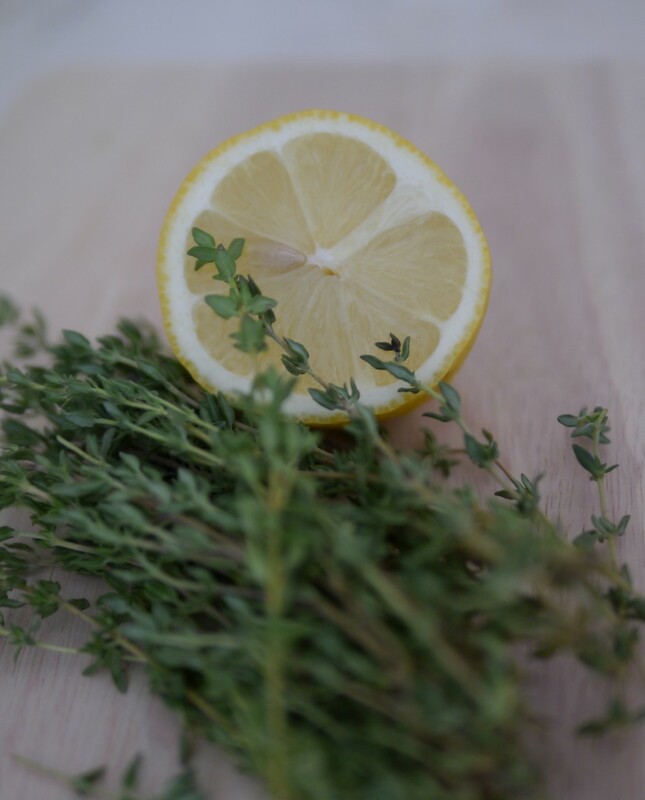 Chop the lemon in half and place into the cavity, along with the remaining bunch of thyme. Place in the oven for around 1hr 15mins, or for a time relative to the weight of your chicken. Remove from the oven and let the chicken rest until it becomes warm. Serve with a herby salad or cous-cous and some lovely ripe tomatoes. This entry was posted in Recipes and tagged chicken, field&flower, Free range. Bookmark the permalink.